What are the specific metrics/calculations that go into the ranking? There are a total of 21 performance metrics covering resource management, employee management, clean revenue and supplier performance. The mix and weighting used is tailored to each sector/peer group. See our 2019 Global 100 Methodology for more information. Is it valid to rank companies from such vastly different sectors against each other? Rankings are based on high-level metrics – carbon emissions, pay equity and diversity, for example – that are recognized as broadly relevant to corporate sustainability, and that lend themselves to objective measurement. The mix and weighting of metrics is then tailored to each sector/peer group. So while carbon emissions matter to all companies, they have a greater bearing on the ranking of a mining company than of a bank. For the 2019 ranking, further refinements were made to peer group definitions to better ensure they are a basis for apples-to-apples comparisons. A fixed number of slots on the Global 100 is also assigned to each peer group, based on the relative size of its global market capitalization. What is meant by “clean revenue”, and why does it account for so much of the ranking? Corporate Knights uses an open-source and evolving taxonomy to define products and services that are socially and environmentally beneficial. This taxonomy is informed by a wide range of research and recommendations drawn from numerous governmental, academic and other sources. A full list of products and services is available at the “2019 Global 100 methodology” link at: corporateknights.com/reports/global-100/ Generating clean revenue is seen as a strong indicator of both contributions to addressing key social and environmental challenges, and of likely corporate longevity. Is there an application/nomination process? No. 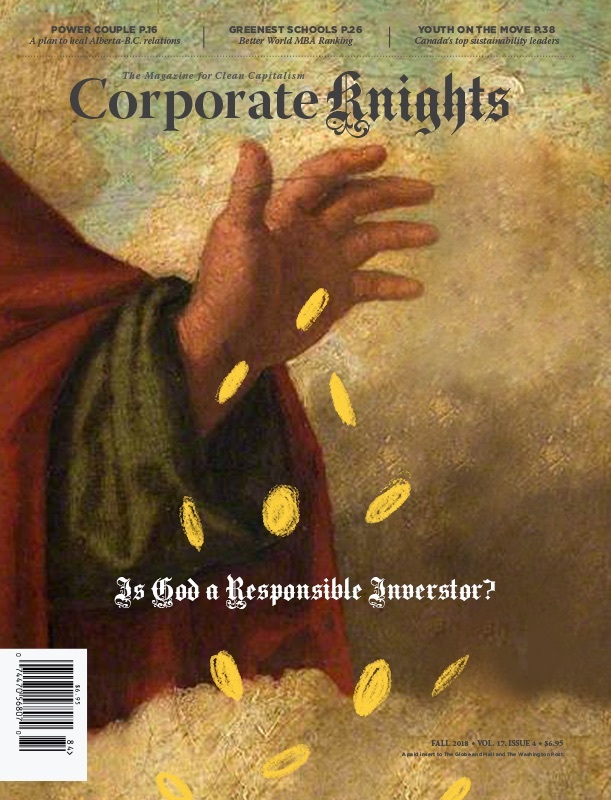 Corporate Knights conducts the analysis on as comprehensive a basis as possible, including all publicly listed global companies with annual revenues of US$1B or more, and who pass the screening criteria. Qualifying companies do not have to apply or be nominated, and are assessed whether they wish to be or not. No submissions are required, although Corporate Knights offers shortlisted companies an opportunity to validate data. This year, the total sample assessed included approximately 7,500 corporations. What was the basis for a company’s inclusion on this ranking? Refer to our spreadsheet providing specific scoring for all ranked companies in 2019. See Global 100 Results (available January 22, 6am GMT +1). How have companies been ranked in the past? How do companies compare to their peers? Peer rankings are available for all ranked companies in 2019. See Global 100 Results (available January 22, 6am GMT +1). Who is the organization behind the ranking? Corporate Knights is a publishing and research firm based in Toronto, Canada. It publishes the world’s largest circulating magazine focused on sustainability and responsible business; and its research division develops corporate ratings, and investment product ratings and tools. Its research also powers various external initiatives including the Global Green Financial Index. Corporate Knights was founded in 2002 and is an employee-owned B Corp.
How long has this ranking been in existence? The Global 100 ranking was first produced in 2005, and has been updated on an annual basis ever since. This most recent ranking is the 15th version to be released. What makes this ranking credible? The Global 100 is a comprehensive and well-established ranking, and is closely tracked by institutional investors and other stakeholders interested in corporate sustainability. The methodology is fully transparent and has been continually refined to improve the comparability and precision of the outcomes, and to leverage evolving data availability and understandings of key determinants of corporate sustainability. The Global 100 is based on an objective, replicable assessment of publicly available data, rather than on any subjective determinations. While there are various similar rankings, the Global 100 is distinctive in its scope, and has earned third-party recognition for its rigourousness. A panel of independent experts regularly provides input to guide further refinement of Global 100 methodology. When does the ranking come out? 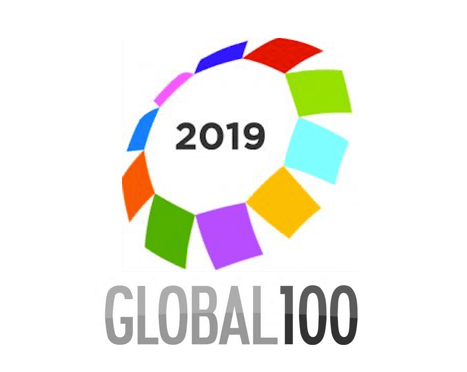 The 2019 Global 100 Results will be available January 22, 6am GMT +1.